1. 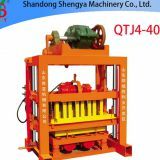 QMY10-15 has the largest productivity than any other Electric Mobile Block Machine, which with considerable strength with the fixed QT10-15 block machine. 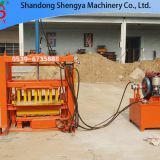 This kind of brick machine is manufactured on the base of technical modifications to the original block shaping machines, that is changing the former one-time-vibration into twice-vibrations of molding core. So the block density becomes higher, shaping speed quicker and block strength more even. 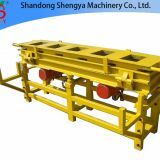 This model of machine can be suitable to the customers who have any kinds of existing cement working sites. 2. Advanced techniques made the host machine designed reasonably, and achieved box vibration, hydraulic stripping, multidirectional automatically movement.QMY10-15 works faster because of automatically feeding system. 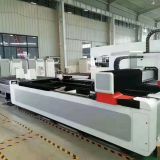 High quality of steel and precision welding made the machine a longer service life and hydraulic system made less fault during work. 3. 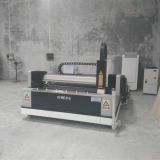 QMY10-15 has several function features, such as low price, reliable performance, easy operated, stable , lower power consumption. 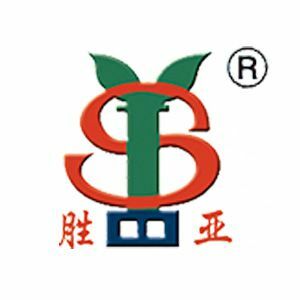 Mass raw material can be used during production, for concrete, cement, small stone, powder, san, coal gangue, slag , construction waste and so on. c. with a HZC35 concrete mixing plant, block and concrete can be the two main products for your fortuned. with mobile concrete mixer you can take the production line to your construction pot or be a lessor for your customer. 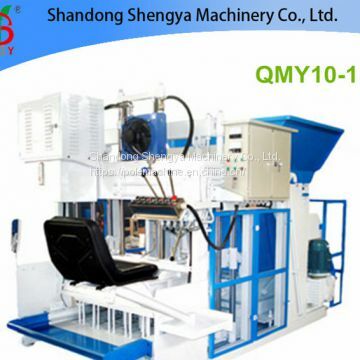 INQUIRY ABOUT QMY10-15 Big production mobile hydralic concrete block making machineShandong Shengya Machinery Co., Ltd.